One of the first demos we give users when they start using the event mapping solution is to show them the public data feeds they can bring into the system. The first feeds we introduce are live traffic, CCTV cameras, public transport arrival times and weather, however dependent on the city there can be a wealth of other options which really innovate. In London we used social media (tweets) to map out people who mentioned transport issue keywords (delays, traffic, trains cancelled, collision etc). 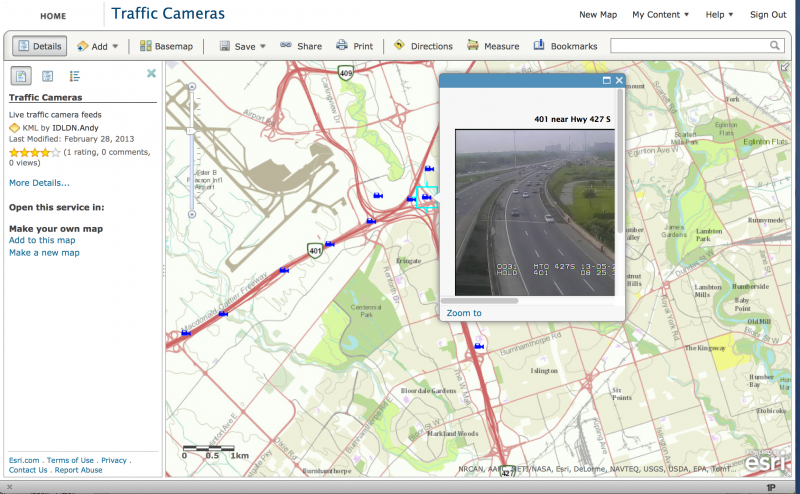 The immediate power of pulling live feeds into an event mapping solution is that they bring the data to life, traffic enables users to immediately see where hot spots are in real-time, CCTV gives an impression of how an area operates and transport information can give instant information on how well connected a venue is. When planning an event sometimes those involved are not fully aware of the environment where they operate (event professionals tend to travel the world with events), this tool enables everyone to get a good understanding of how a venue, area or city works and should be on the priority list of any newly set-up event organiser, big or small.